Architect Kobi Karp has posted a rendering on his Instagram account of two towers adjacent to the Trinity Cathedral. Karp did not elaborate on the renderings, which still include the now-demolished Miami Herald building. He frequently posts older conceptual plans of projects that were never built. 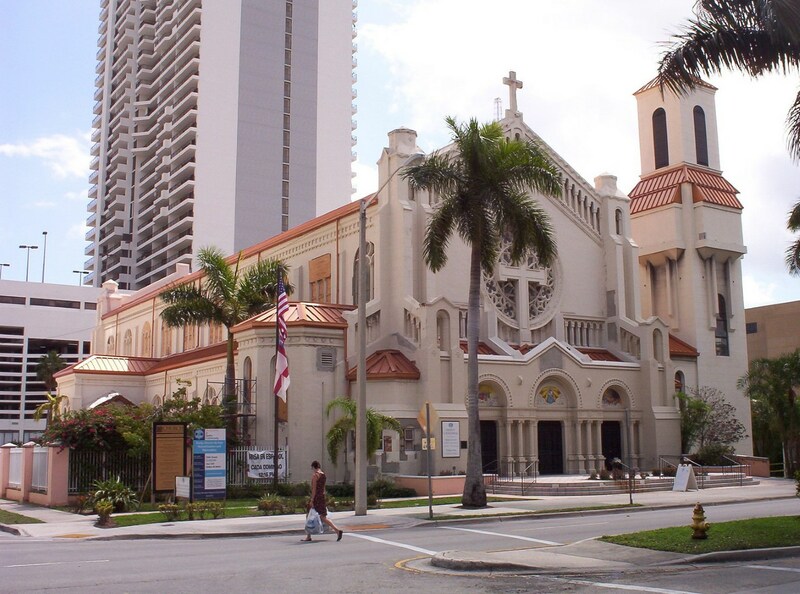 Built in 1925, the church combines Romanesque, Byzantine, and Italianate elements of architecture to give the building a distinctive Mediterranean appearance. The proportions and general idea were inspired by the Roman Catholic Church of St. Giles, near Nîmes in southern France. The Cathedral was added to the U.S. National Register of Historic Places in 1980.
uuuhhhhmmmmmm what in the world..???? I see Karp is playing with the “holy” aspects of Christianity. I take projects that will never happen for $200. He also posted a picture of the old proposed Miapolis from years ago. So I don’t think what he post on his Instagram is credible. I wouldn’t get excited about the render. I can see why they wouldn’t show them. Don’t dream of this ever happening. I would’ve preferred this over the tower proposed more recently. For Kobi Krap, it’s pretty good and uses all the surrounding lots with buildings which aren’t historic.